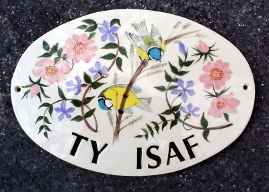 Lisette Chesshire makes unique, made to order, bespoke Ceramic house names and numbers in her studio in West Wales. 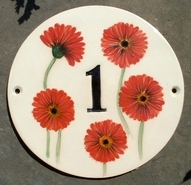 A House Sign or number hand made and hand painted to your unique specifications can make your home distinctive and individual to you. You can use the sample nameplate designs on my site as a guide, or, as these custom house signs are so personal, you can choose to email me or phone to discuss your requirements. 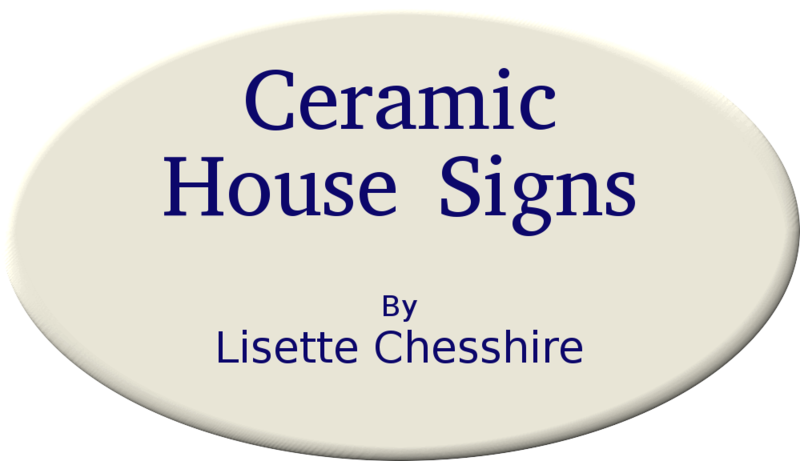 Bespoke ceramic house signs and numbers produced at my studio in West Wales are now on homes in England, Wales, Scotland, and Ireland, as well as many states in the USA, Canada, Australia, New Zealand, France, Germany, Italy, Spain, Denmark, Greece, Bulgaria and Russia. Each of my custom house signs is hand made and hand painted to your specifications before glazing and firing. To see what I can do for you please enter my studio, or for more recent examples, go to "customer feedback".